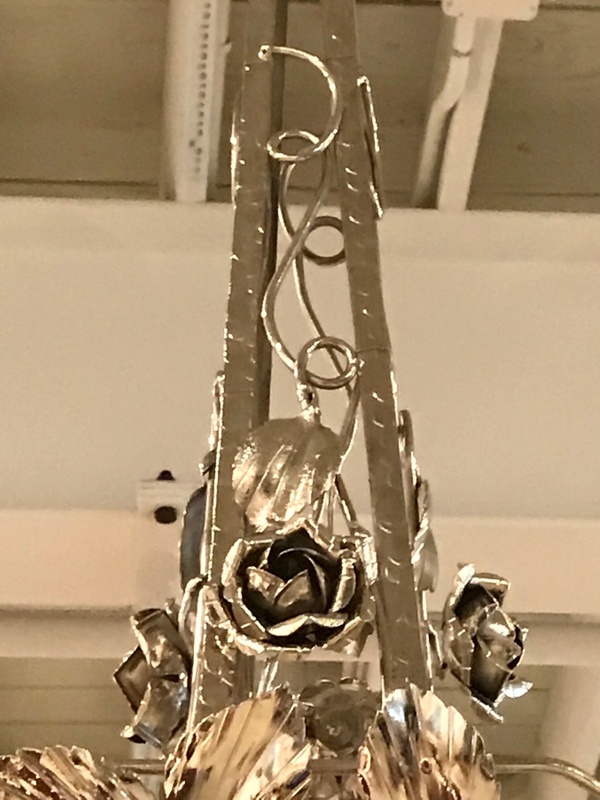 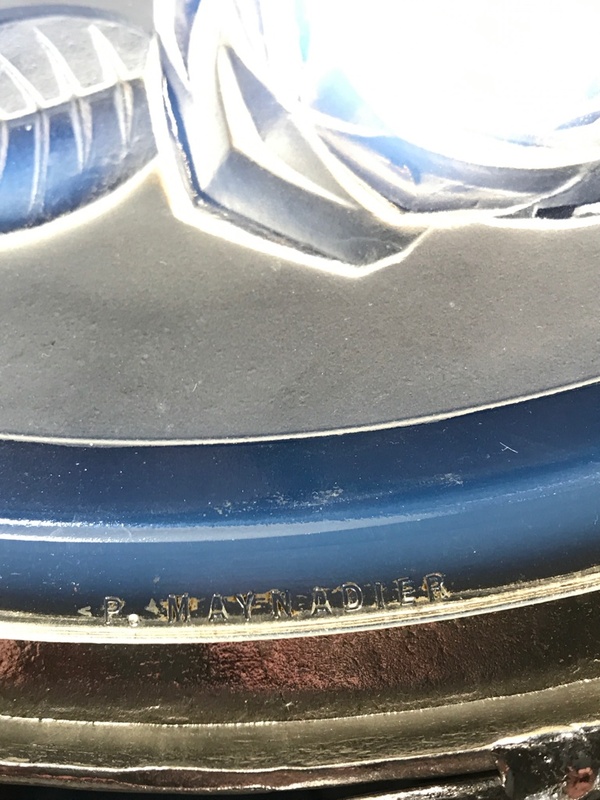 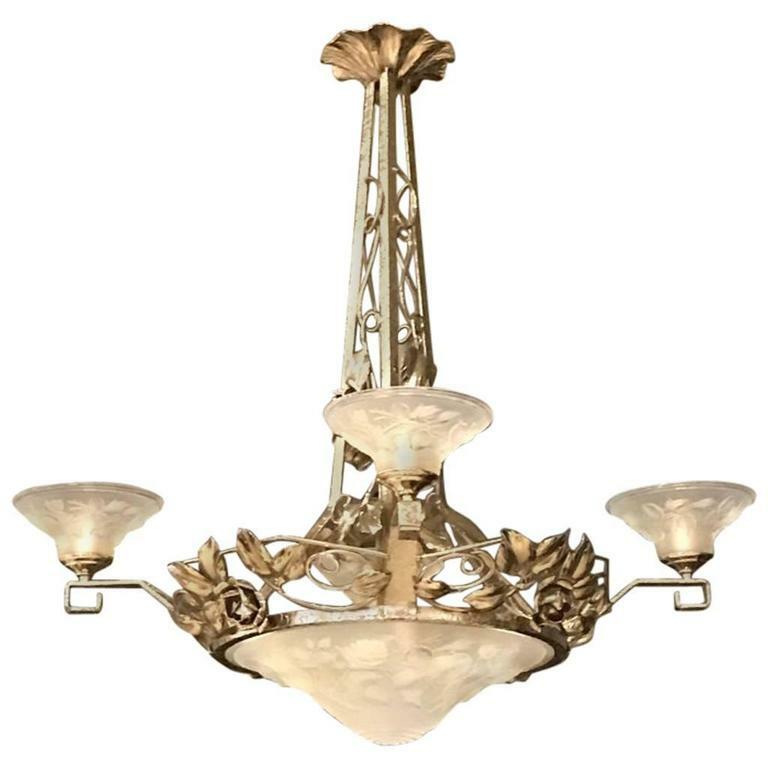 French Art Deco chandelier signed by P. Maynadier. 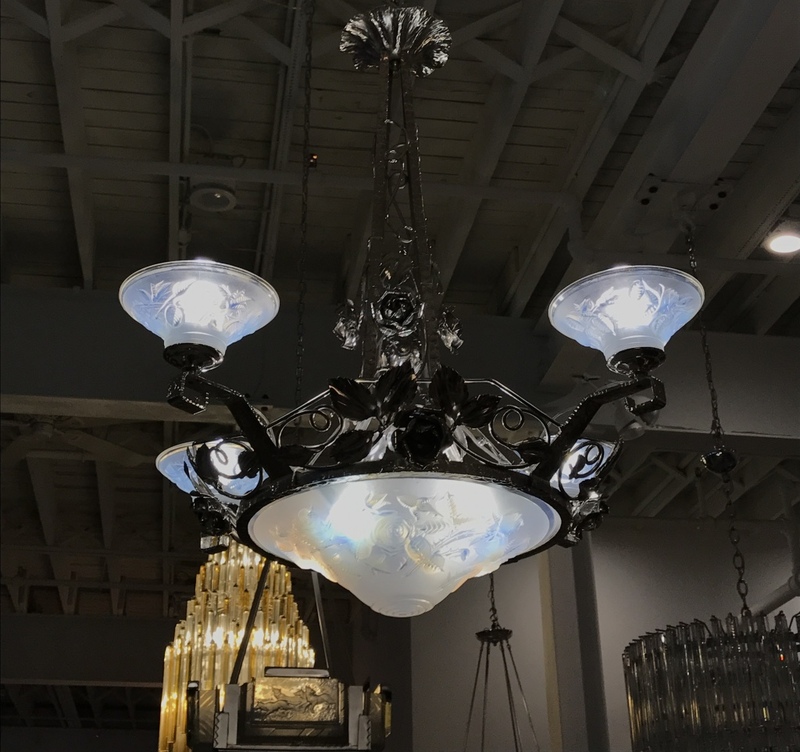 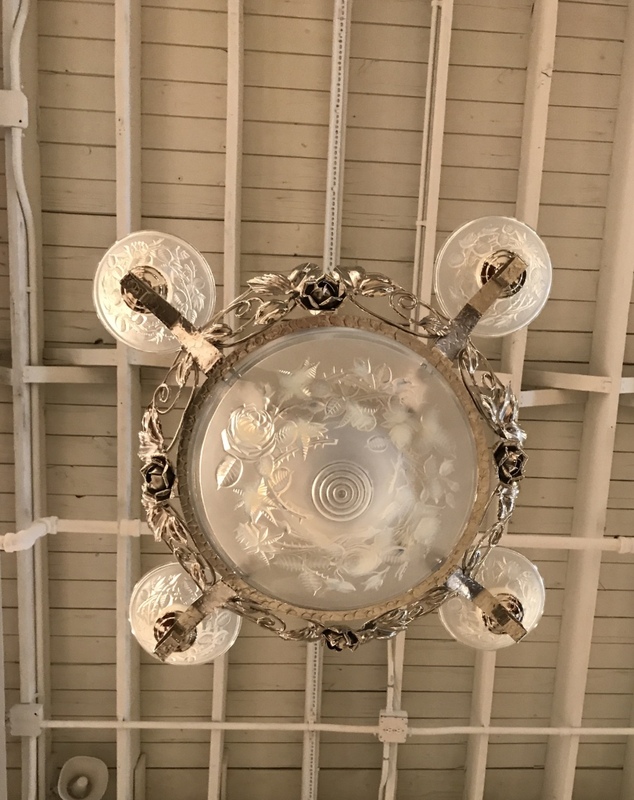 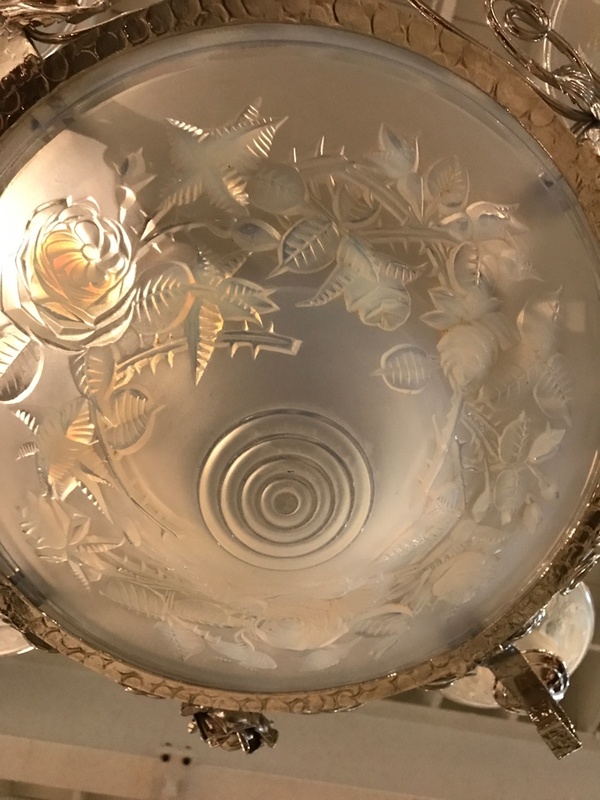 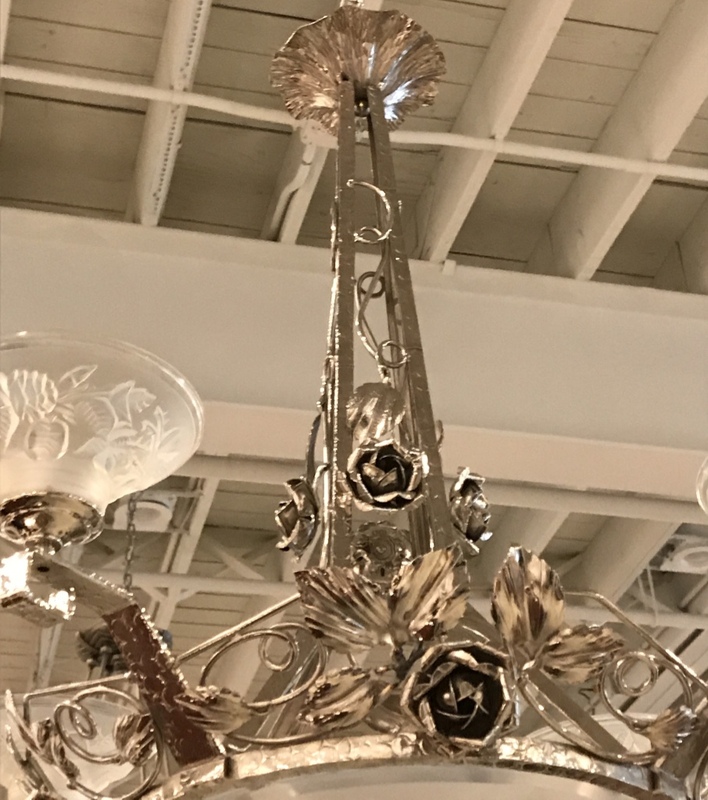 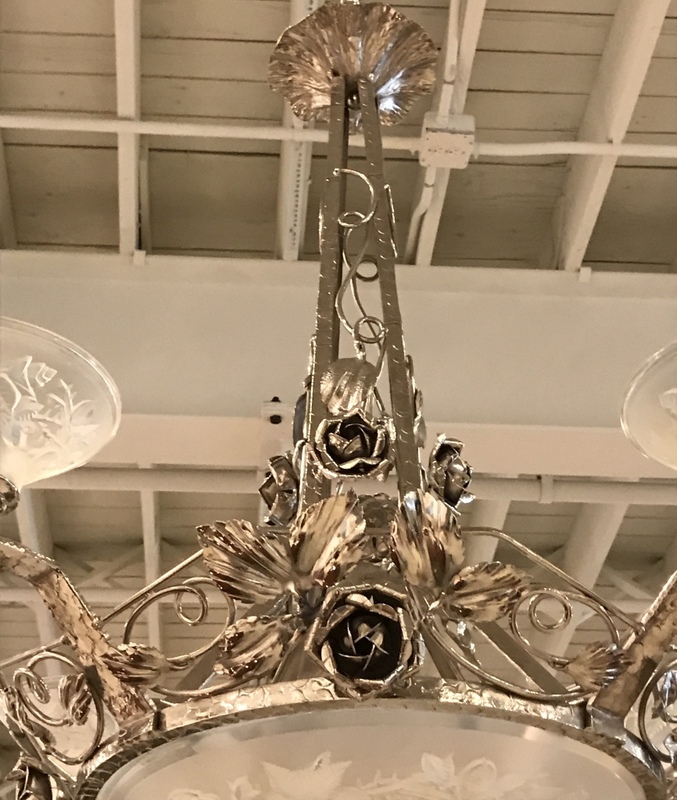 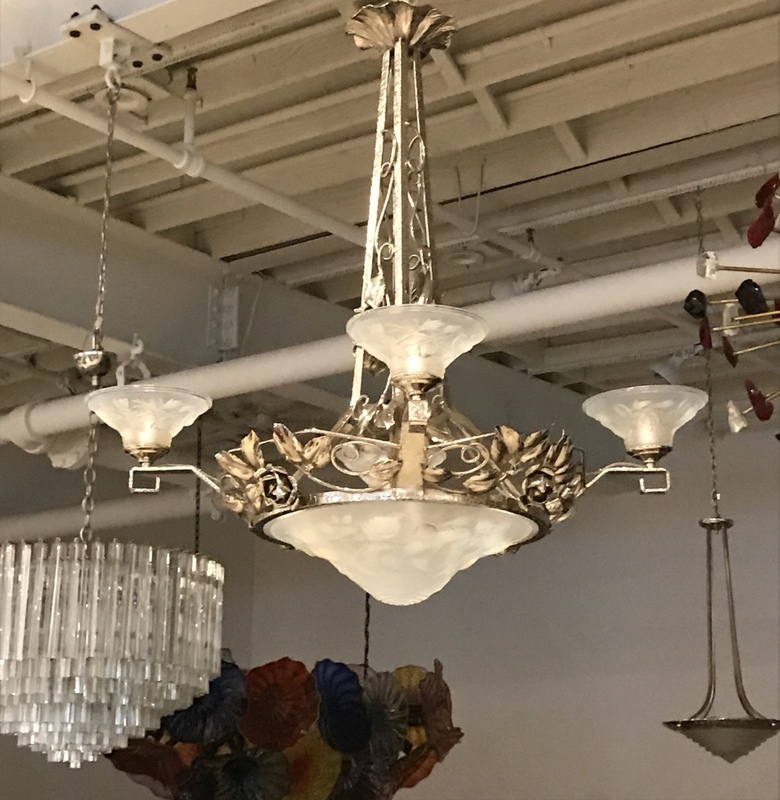 With four opalescent glass shades surrounding a center opalescent bowl having intricate floral motif details throughout. 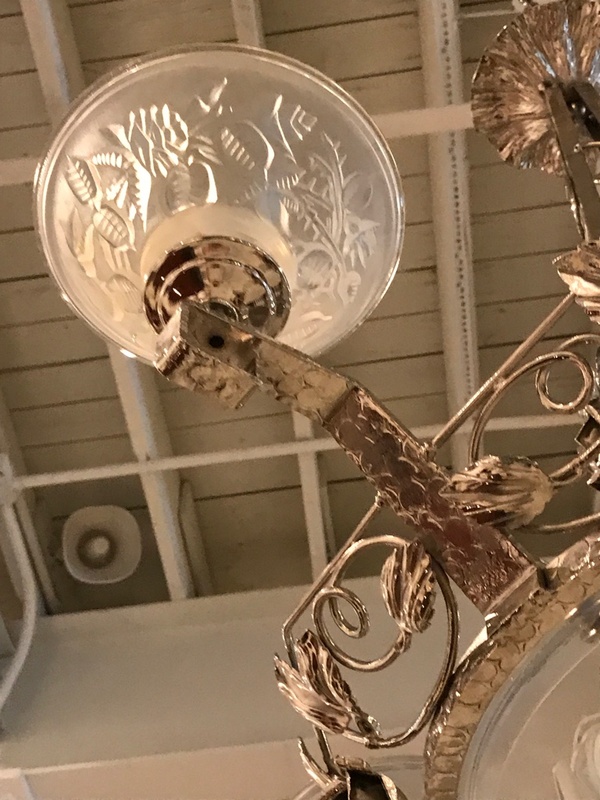 Shades are held by silvered design frame.